The venerable Ruy Lopez is one of the most interesting of chess openings. 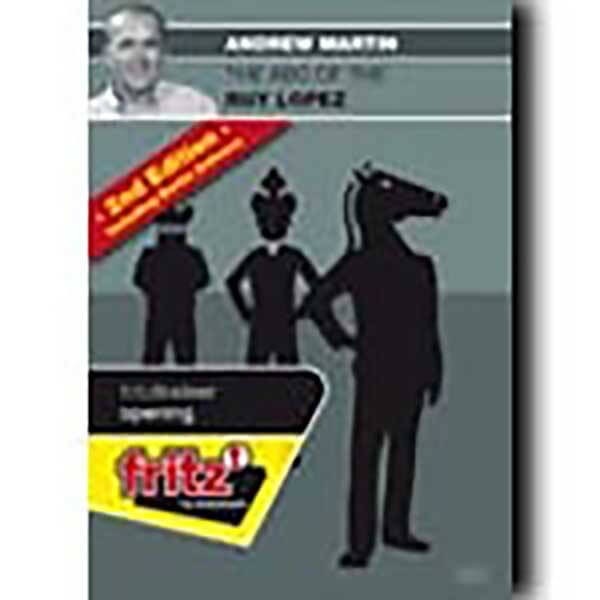 In this diverse and instructive DVD, International Master Andrew Martin explains how the opening works, with the help of mostly recent, complete master games, although there are some classics too! The most important ideas are highlighted and there are some repertoire suggestions, all presented in the light, easy, relaxed style for which this author is noted. Note that this edition includes a 2009 update featuring a significant contribution on how to play against the Berlin Defence amongst other new ideas.